William Thomas Stead. A man well known in his day: an investigative journalist, a hard-hitting social campaigner and a forthright man. He championed women’s rights and supported the suffragettes; promoted the Poor Law, backed the labouring classes and trade unionism; advocated compulsory education for all and demanded home rule for Ireland. The newspapers he edited, which included the Pall Mall Gazette in London, became ones that politicians of the day were forced to take notice of. But he had another side to him; one which attracted a certain amount of derision and perhaps contributed to the reasons why he is not well-remembered these days: an unswerving belief in spiritualism. This was not unusual, however, being a popular pastime in the late Victorian era and we have a number of books on the subject in the Tower Collection to prove it. Stead himself wrote a few works on spiritualism, the most well-known of which was “Letters from Julia” [1898.5.75] later republished as “After death” [1906.5.604 and 1915.7.719]. These missives were produced (apparently) by automatic writing, taken down by Stead under the influence of a departed American journalist called Julia Amis. Stead also set up a séance circle, calling it Julia’s Bureau after her. Stead apparently consulted a palmist in 1892 who told him he would die at the age of 63, which he duly did (defying a different prediction that he would make it past 75). 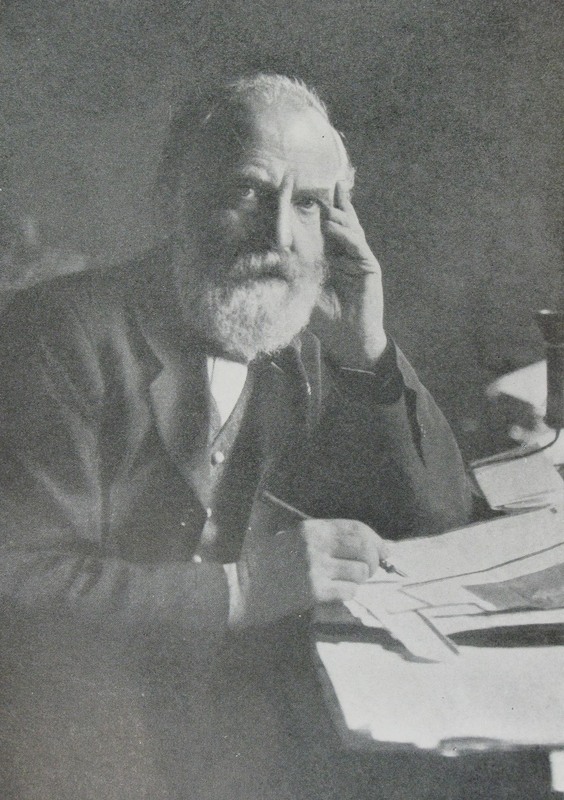 The palmist also told him that his life would be in peril “from water and from nothing else” and that it would be dangerous to travel in April 1912. Despite Stead’s credulity in these matters, he boarded the Titanic…. Having drowned, he wasted little time in coming back to tell everybody all about it, speaking through a certain Mrs Coates at a séance only 11 days later, followed by innumerable appearances to many others; manifesting himself through mediums, by the use of automatic writing, in photographs and on one occasion by shaking a whole room. James Coates edited a book the following year, “Has W.T. Stead returned? A symposium” [1913.7.3500] which goes into minute detail about Stead’s visitations to various people, including members of Julia’s bureau. Great efforts are made to point out the genuineness of the apparitions. 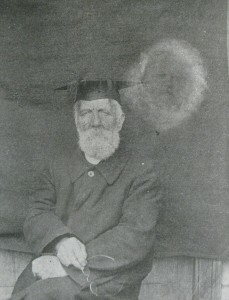 As reported, Stead seems to have delighted in being a spirit, pleased to have proof that people really were on the Other Side and making contact with the living. He describes how he did not suffer in the water, but passed quickly into unconsciousness, due to a blow on the head – the “lynching” he always said he would suffer! He passed over happily, being prepared for the future life by means of his involvement with spiritualism on earth, but tells of how he had to comfort and assist many others who were in great distress and did not know where they were. One of the controversial details regarding the Titanic is whether or not “Nearer, thy God, to thee” was being played by the band as the ship went down. Stead not only states that it was being played, but that it was at his own request. So now we all know…. This entry was posted in Fortune-telling, Friday feature, Transport and tagged Spiritualism, Titanic, W.T. Stead. Bookmark the permalink.